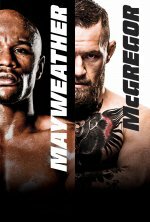 Mayweather vs. McGregor release date was Saturday, August 26, 2017. This was a 1 Day Only release. Fathom Events and Mayweather Promotions partner to give fans nationwide the opportunity to view undercard bouts and the unprecedented main event in movie theaters nationwide on Saturday, August 26, 2017 at 6:00 p.m. PT/ 7:00 p.m. MT/ 8:00 p.m. CT/ 9:00 p.m. ET. The fight will originate from T-Mobile Arena in Las Vegas and the event will be produced and distributed by SHOWTIME PPV.